Red and white metal "No Saloon" button with celluloid cover. This small button was produced as part the Prohibition movement of the early 20th Century. 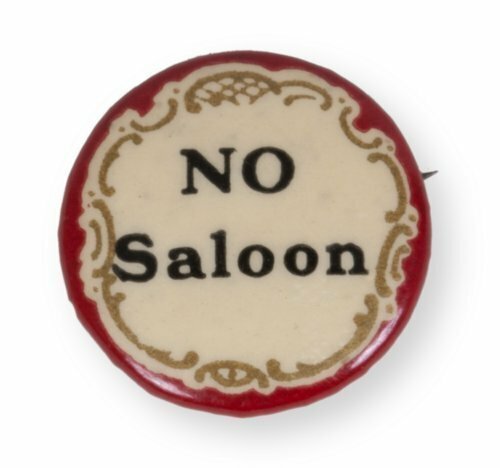 Organizations like the Anti-Saloon League of America used these buttons to promote their cause. The St Louis Button Company manufactured this button in St Louis, Missouri.